At the Beverly Hills Center for Plastic & Laser Surgery, Dr. Ben Talei is an industry-leading physician that offers face and neck plastic surgery procedures. Dr. Talei has dual fellowship training in facial cosmetic and reconstructive surgery and vascular birthmarks and congenital anomalies with laser surgery. Dr. Talei, a dual board certified facial plastic surgeon is one of the few doctors in the nation that offers the deep plane facelift. This unique procedure offers patients natural-looking rejuvenation in the lower face and neck area. This operation is made with few incisions, resulting in a shorter recovery time. Dr. Talei’s procedures can refresh your face with natural, long-lasting results. His minimally invasive procedures can reclaim your natural beauty with results that go unnoticed and unrecognized. Your face is your portal to the world, and surgical procedures on it require a high skill level and precision. 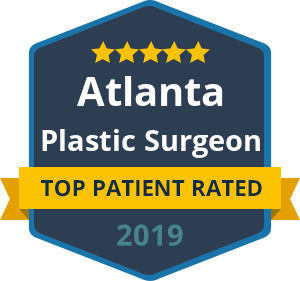 Dr. Talei’s artistic eye and delicate hand, coupled with his high skill-set, are the necessary components for natural plastic surgery procedures. The Beverly Hill Center for Plastic & Laser Surgery has five specialized areas: facial rejuvenation, rhinoplasty, blepharoplasty, non-surgical and facial reconstruction. Each medical procedure that Dr. Talei performs is made with marked-accuracy and precision. Plastic surgery is not one-size-fits-all. Dr. Talei tailors each surgery for each individual. From your eyes, cheeks, lips, jaw and neck, Dr. Talei’s efforts will leave your face naturally glowing and revitalized. Contact our face and neck plastic surgery procedures doctors today to schedule a consultation with Dr. Talei. We look forward to hearing from you.